Les McMinn is an Oxford-based fine artist. 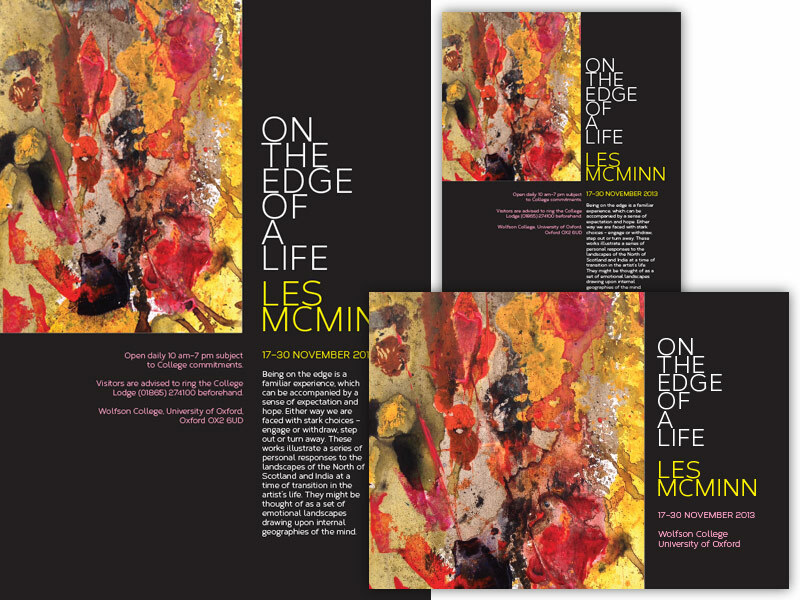 For his recent one-man exhibition 'On The Edge Of A Life' I was invited to create a poster, postcard and invitation to help promote the event, which was held at Wolfson College in Oxford. The designs feature one of McMinn's pieces, with type arranged to carry information while reflecting the themes of the exhibition.